Sea Level Rise & Climate Change are real. Order your “Climate Change is Real” button today to spread awareness. Polar Bears, like many animals are at risk of extinction if their habitat disappears from global warming and rising seas. 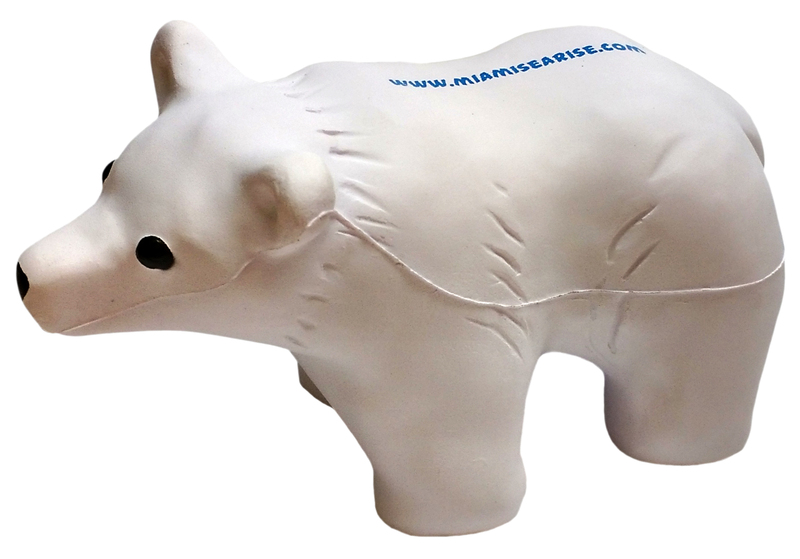 Order your own Baby Polar Bear Toy today by clicking below and by doing so help us educate people about Sea Level Rise. Follow the adventures of Delaney, Dr. H Two. Oh, the polar bear, penguin, crab, and seal as they introduce Sea Level Rise Science to young minds and engage them to think about solving this growing problem. Children can learn in a colorful manner while also having fun! Copies of the First Edition of Expedition Extinction: South Florida Sea Level Rise can be ordered below and are a perfect complement to the Power Point: Sea Level Rise For Children. Consider adding a few of our Penguin Keychains, Polar Bear toys, and Awareness Buttons to your order as a fun giveaway with the comic during or after the Power Point. Climate Change and rising Sea Levels threaten to drown important coastal nesting sites for penguins. 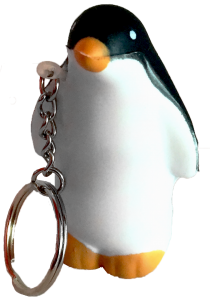 Order your own Penguin Keychain today and help us educate people about Sea Level Rise. Will Global Warming and Rising Sea Levels cause South Florida to SINK or SWIM? Spread awareness and show your support of the Sink or Swim project. 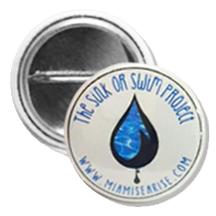 Each “Sink or Swim Project” Button Order comes with 2 one-inch buttons – Share with a friend! Our mission is to educate everyone about Sea Level Rise and we need your help today. The Sink or Swim initiative visits local schools, businesses and civic groups to educate as many people as possible about the science of sea level rise and the very real risks that our region faces. Your donations and sponsorship helps us cover the costs of travel, the publication of our Comic & Adventure Books as well as our ever popular polar bear toy handouts. Any amount, no matter how small or large, is appreciated and useful to helping us educate. For your donation and consideration, thank you. The Sink or Swim Project Inc., (Federal Identification # 81-4570941) is a registered 501(c) (3) non-profit public charity under the Internal Revenue Code Public Charity Section 170 (b) (1) (A) (vi) as of November 30th 2016. Tax deductible donations can be made to The Sink or Swim Project Inc., can be deducted under the IRC’s Section 170 as well as Sections 2055, 2106 or 2522.